Breathe Out. If there's one thing I love about camping, it's that feeling of slowing down, taking stock, breathing out. 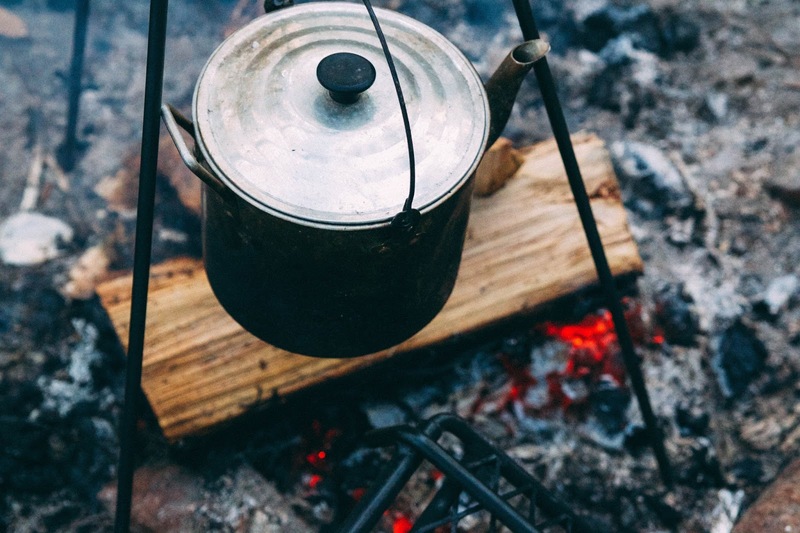 There is something magical about the great outdoors, staring into the campfire, being away from the daily pressures, taking in the sights and sounds of the natural environment. It's like taking one giant long, slow exhale, nothing feels better. Now if you add to that sleeping in a gentle canvas bell tent fitted out with cosy bedding, all your meals prepared by talented chefs, cooks and food lovers, a fabulous Tasmanian wine or two and engaging workshops where you can make something wonderful, then you've got The Slow Camp: An intimate weekend gathering designed to help people connect, create and unwind in the stunning surrounds of the east coast of Tasmania. 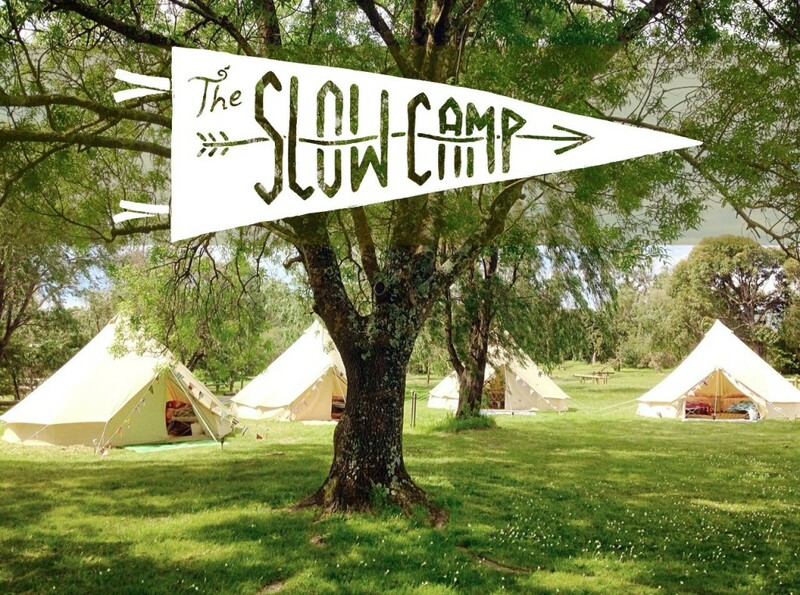 I've teamed up with those glamping experts Happy Glamper, who are setting up camp on the beautiful grounds of Devils Corner Vineyard with a backdrop of spring-green vineyards, the jagged granite peaks of 'The Hazards' and the tranquility of Moulting Lagoon. Annie Inglis from Launchpad Workshops will teach you the ancient Japanese art of shirbori. Missie O, florist / forager extraordinare, who spent her childhood in the area, will share her immense knowledge of local plants, take us foraging then show us how to make something lovely. Asher Gilding, my long time campfire foraging buddy will be cooking a delicious seafood bbq for you and teach you a thing or too about cooking on the campfire. Hugh Flint, a chef and food lover, who Tassie's managed to steal away from Adelaide (sorry SA!) has moved to Cygnet and is the most delightfully warm and talented person you could meet, will be coming along to cook and share a few tips with you as well. Natalie Mendham will be there to photograph everything through her talented eye. We'll have a plenty of time for walks, chats around the campfire, stargazing, a wine tasting or two. I did tell you we're camping in a gorgeous vineyard didn't I? We will also have Freycinet Marine Farm with their oysters, and few other surprises in store. The cost includes all meals and beverages, workshops, materials and accommodation. The retreat runs from 4pm Friday 27 November until sometime after lunch on Sunday 29 November. Accommodation is a shared Happy Glamper tent with super comfy bedding and linen provided. Tickets are very limited, click here for details. If you need a break and want to meet like minded people in a stunning creative environment, then I hope you can join us for a chance to relax, learn new skills, reconnect with nature, explore, eat delicious food, recharge and most importantly, to breathe out.